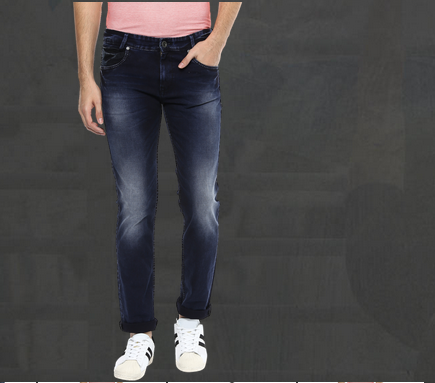 Garner positive review for your look by wearing these deep blue jeans from Mufti that offers a comfortable and stylish feel throughout the wear. Showcasing stonewashed pattern, these jeans feature a button closure, zip fly, the traditional-five pocket design and brand logo detailing at the back waistline. You may pair these jeans with a polo T-shirt and sneakers to complete your look.